Home to some of the best wedding venues in Florida, the Tampa Bay/Sarasota area hosts a variety of event venues with stunning waterfront backdrops. Whether you’re looking for a “toes in the sand” beach wedding, private country club wedding or rooftop ceremony with sweeping water views, these 10 wedding venues are our top picks for a waterfront Tampa Bay wedding. Just minutes from the Tampa Airport and newly remodeled, The Godfrey is a unique waterfront wedding venue boasting a private pier that extends over Tampa Bay. With unobstructed sunset views, cool water breezes, and one of the most sought after pools in Tampa Bay, this boutique hotel is the epitome of a Florida wedding. I want to learn more about weddings at The Godfrey Hotel & Cabanas Tampa. Located on America’s Best Beach, no other wedding venue in on the beach offers water views like the Hyatt Regency Clearwater Beach. With its 16th floor Sky Terrace that overlooks the ocean and intracoastal, over 200 of your closest family and friends can watch you say “I do,” while enjoying near 360-degree views of Clearwater Beach. 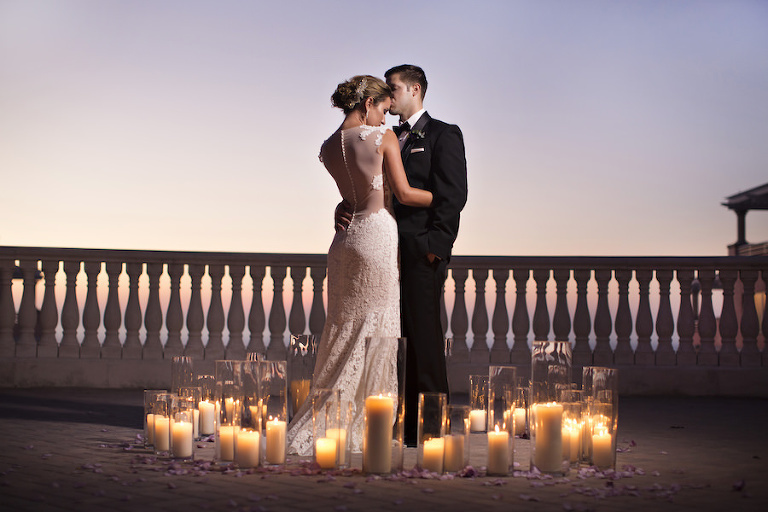 I Want to Learn More about Weddings at the Hyatt Clearwater Beach. The Hotel Zamora is the newest boutique hotel on Saint Pete Beach. 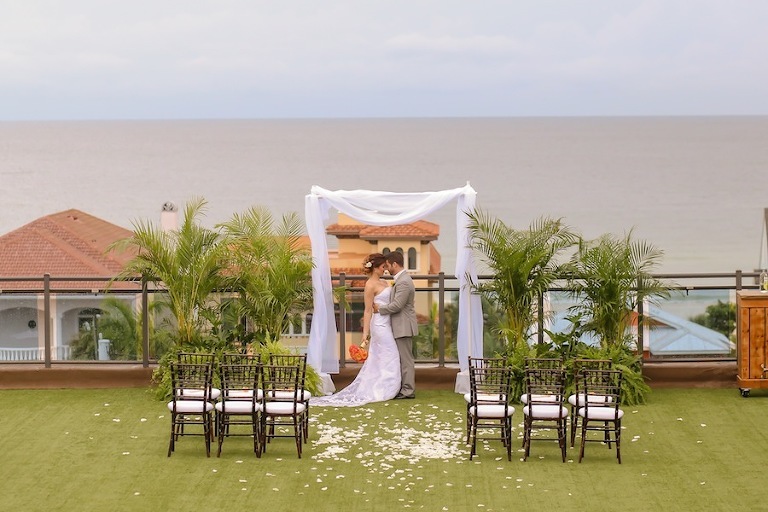 With panoramic views of the Gulf of Mexico from their private rooftop ceremony space and a Spanish-Mediterranean design, you’ll feel like your hosting a destination wedding no matter where you call home. I want to learn more about weddings at The Hotel Zamora. The Hotel Zamora will contact you shortly! Located near St. Pete Beach, Isla del Sol Yacht and Country Club is one of the few wedding venues in Tampa Bay with a private beachfront providing an exclusive environment. The neutral paved walkway to the gazebo allows for a beach wedding without having to walk in the sand. For an unforgettable wedding exit, the couple can depart from the marina by boat after their ceremony or reception for a romantic getaway. I Want to Learn More about Weddings at Isla del Sol Yacht & Country Club. Serving up almost 100 years of luxurious hospitality, The legendary Don CeSar Hotel is the perfect setting to create oceanfront memories. Florida’s “Pink Palace” offers multiple breathtaking backdrops with lush gardens, white sand beaches, and elegant historical architecture. Just minutes from Sarasota, the Resort at Longboat Key Club offers multiple waterfront ceremony venues, including a sandy beachfront space overlooking the Gulf of Mexico, a manicured lawn that overlooks the Gulf, a courtyard with a marina backdrop, and second lawn space that overlooks Sarasota Bay. With multiple ceremony locations and on-site accommodations, it’s ideal for a destination Florida wedding! I want to learn more about weddings at Longboat Key Club. Longboat Key Club will contact you shortly! Located in a waterfront gated community in South Tampa, the Westshore Yacht Club features a marina and open views Tampa Bay. The private club’s wedding ceremony space features a patio for up 250 guests and can accommodate outdoor receptions, making it ideal for an evening under the stars. Send me pricing and availability for Westshore Yacht Club. Located on the waterfront Intracoastal of Dunedin, Beso Del Sol is a hidden gem for couples looking for an intimate waterfront ceremony. 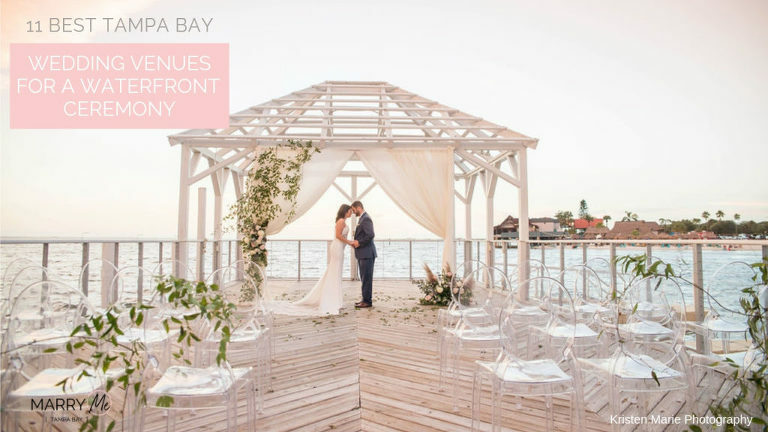 Its private pier, with included bamboo trellis, is the perfect backdrop for sunset photos, and with a ceremony and reception rental for around $1,000 it’s one of the area’s most affordable waterfront wedding venues! Send me pricing and availability for Beso del Sol Resort. The Yacht Starship, Florida’s largest fleet of private wedding yachts, is one of the most unique waterfront venues in Tampa Bay as it docks in downtown Tampa or Clearwater Beach, then sails into open waters for an ever-changing water view. The rooftop ceremony deck offers gorgeous sunsets, while the private dining room features water views from every table. Guests can dance the night away on the open-air top deck under the stars while cruising Florida’s waterways. Located in the heart of Clearwater Beach next to the famed Pier 60, the Hilton Clearwater Beach is one of the area’s few hotels offering private beachfront walk-out access. 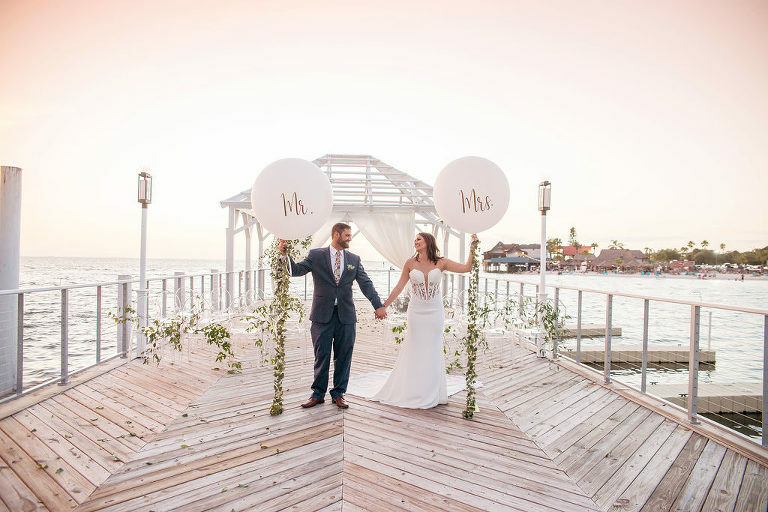 With a multi-million dollar renovation just completed and multiple locations for a waterfront wedding ceremony, including on the beach or on their outdoor deck, this hotel is one of the most popular wedding venues on the beach. Discover the timeless rhythm of the historic, jazz-age at the newly renovated Fenway Hotel. Nestled in the picturesque Dunedin, the Marriott boutique property offers waterfront views of St. Joseph Sound from its expansive front lawn or elegant ballroom. I want to learn more about weddings at The Fenway. The Fenway will contact you shortly!